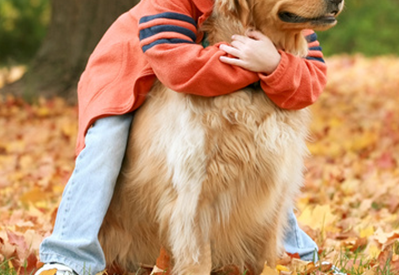 A study published in 2000 explored the relationship between pets and children. Specifically, the study, conducted by a child psychologist in New Mexico, looked at the effect dog ownership had on 10- to 12-year-old children. The researcher, Robert E. Bierer, Ph.D., was surprised at the difference in empathy and self-esteem between preadolescents who owned a dog and those who did not. Bierer’s conclusions support the growing body of evidence that shows dog ownership has “statistically significant” impact on self-esteem and sensitivity toward others. He noted that teachers, parents and other children have expectations for a child to fulfill. A pet has no such measures of success or failure; acceptance is total, which provides a sense of self worth. READ MORE.